Family Court issues and Matrimonial issues are two (2) of the most highly charged and contentious matters argued in the New York State Court System. This is especially true when issues of Divorce, Child Custody and Visitation, Child Support, Spousal Support (Maintenance), an Order of Protection (Family Offense petition) or Abuse and Neglect case are in dispute. We also represent families in estate administration and probate matters. In New York State there are two (2) courts that have jurisdiction to hear Family Law Cases: The New York Family Court and The Supreme Court, Matrimonial Part. Both Courts can hear all family cases with one exception. Only the Supreme Court can hear divorce cases. We will start with Family Law matters that are common to both courts. These are the following: Child Custody & Visitation, Paternity, Child Support, Family Offense Petitions (Order of Protection), Spousal support or Maintenance, Guardianship, and Petition for Abuse & Neglect. 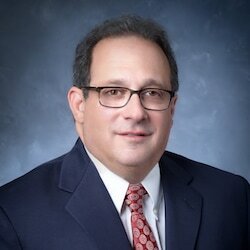 Please remember at the conclusion of this essay that if you still have questions or are seeking representation, Stephen Bilkis & Associates, PLLC offers a free consultation with a New York Family Lawyer to further explain or answer any questions you may have with regard to Family Law or Divorce. The firm has locations throughout New York City & Long Island. Call us at 800.696.9529 to meet us in Manhattan, The Bronx, Queens, Brooklyn, Nassau County, and Suffolk County. Family Court will grant standing to any persons who share a blood relationship, a close personal or intimate relationship or who share a child in common. We shall begin with the most common type of relationship; parents who share a child in common. The legal standard The New York Family Court uses in determining custody is “what is in the best interest of the child”. Once Paternity has been established the issues of Child Custody & Visitation along with Child Support are decided. We will focus first on Child Custody to determine who will be the custodial parent and thus the parent entitled to receive Child support. Each New York Family Lawyer in our office advises each of our clients that there are three (3) main types of Child Custody: Full Custody, Joint Custody, and Residential Custody. Full Custody gives that parent the authority to make all decisions for the child without consent of the other. The only obligation of the parent in full custody is to inform the non-custodial parent of major issues and decisions that are ongoing with regard to the child. Joint Custody is exactly what it implies; the non-custodial parent is given equal decision making with regard to all major issues in the child’s life such as education, medical and religious decisions. The final type of Custody is Residential Custody and gives the parent who receives it the right to have the child with him or her. Any Divorce Lawyer will tell you that all Divorce Matters are heard in the Supreme Court of the State of New York. Each county has a part regardless of whether it is in New York City (Manhattan, Brooklyn, Queens, The Bronx, or Staten Island). Long Island (Nassau County and Suffolk County) has their own Matrimonial Parts of Supreme Court. Any Manhattan Divorce Lawyer will tell you a Divorce is the legal dissolution of a marriage. Be aware, there is no common law marriage in New York State. A condition of having a divorce granted in New York is having grounds for a divorce. Grounds are a legal excuse to dissolve the marriage i.e., abandonment, constructive abandonment and cruel and unusual treatment, which are the most common grounds for Divorce in New York State. If there are children in the marriage then the process discussed above with regard to Child Custody, Child Visitation, Paternity, and Child Support all move forward accordingly. After grounds and child issues, the next highly litigated area in a Divorce is “distribution of the assets.” A Manhattan Divorce Lawyer will tell you this covers three (3) major areas; Equitable Distribution (dividing the assets fairly), Maintenance or spousal support, and Occupancy of the home. Equitable Distribution covers all assets that were attained from the date of marriage and forward. However, there can be exceptions such as inheritance and “prenup” exclusions. There can be issues of valuation of the assets. The distribution of the assets can be contentious, but in the majority of cases there is a 50/50 distribution. When there are allegations of Abuse & Neglect involve children, ACS (Administration for Child Services) or Child Protective Services will investigate the case. Many times people feel powerless in the Family Court system and have difficulty understanding and interpreting the Family Law. Each New York Family Lawyer in our office understands that even if the powerlessness a person feels is only perceived, it can cause stress and difficulty navigating the particular legal issue. Especially, when the stakes are a high a family court case. That’s why our firm strongly advocates for Fathers Rights, Mothers Rights as well as Grandparents Rights regardless of the family matter. The attorneys at the Law Offices of Stephen Bilkis & Associates have extensive experience working with individuals and families to help preserve their assets and ensure the proper administration of their estates. Our estate planning practice includes designing comprehensive estate plans that are tailored to the individual needs of our clients. Whether the client is an individual, family, entrepreneur, business, or has a high net worth, we make sure we understand the client's goals and develop a plan that takes into consideration the financial and tax consequences to all involved. The plans we develop typically involve executing wills, trusts, durable powers of attorney and advanced healthcare directives. We also develop more complicated estate plans that may include complex trusts that address unique family or business situations and charitable planning. We work closely with estate administrators, trustees, and other fiduciaries to ensure estates are settled in the most efficient manner. Estate administration typically begins with probate court filings and can encompass a wide-range of tasks such as preparation of estate tax returns, disposition of assets, and settlement of claims against the estate. With respect to trusts our practice includes trust administration, working with investment professionals to manage assets, providing tax and financial advice, planning distributions, preparing related tax returns, and advising corporate fiduciaries on a wide range of issues related to the administration of family and charitable trusts. Furthermore, we understand that with family trusts there are often complex and sensitive family dynamics that must be taken into consideration throughout the trust administration process. When will challenges and other disputes arise during the administration process it is critical to have expert legal representation with experience negotiating estate disputes. While we always work hard with all involved to avoid litigation, we have the experience to represent fiduciaries, beneficiaries and heirs through estate litigation when necessary. We have in depth knowledge of New York statutes and common law related to trusts and estates. We also have years of experience navigating both state and federal courts as well as tax agencies. Our practice is not limited to representing individuals and families. We assist businesses with succession planning and non-profit organizations with administering planned giving programs and regulatory compliance.